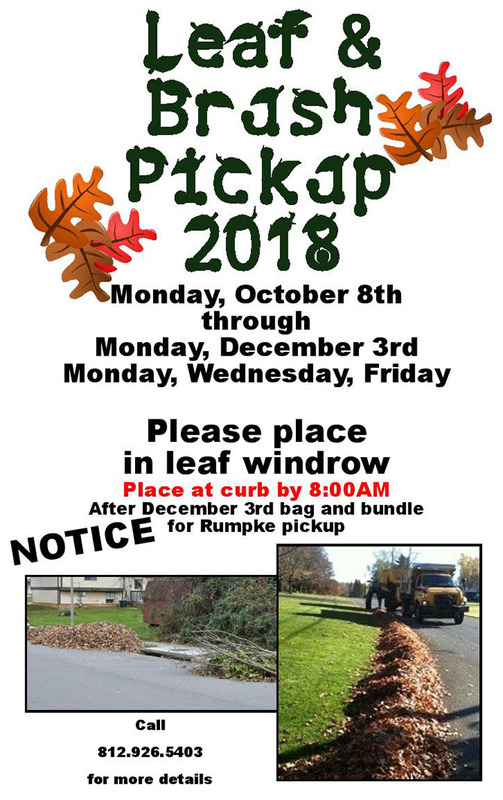 Rumpke Solid Waste Collection has begun. Rumpke is pleased to be your service provider. 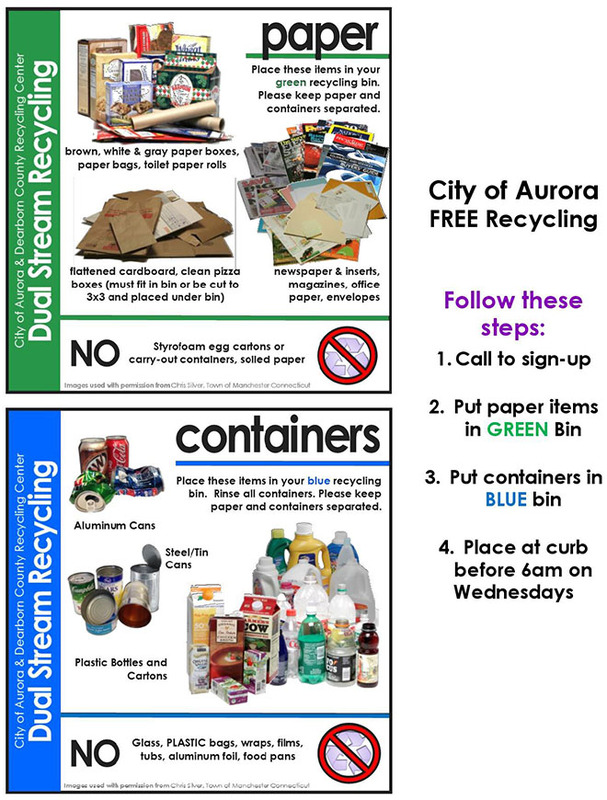 Garbage pick-ups for the City of Aurora will run from Monday - Thursday. 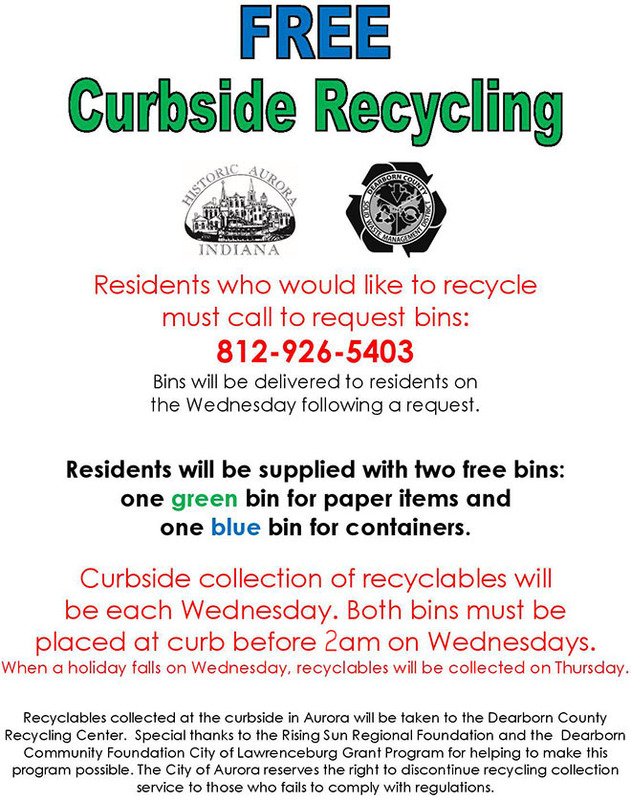 Recyclable trash MUST be set out by Wednesday @ 2 am. 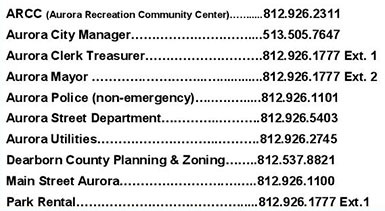 The fee for trash removal is $10.45 per month. Garbage may be placed in your own cans, waste wheelers, or bags if that’s your preference; however you also have an option to rent a 95-gallon cart on wheels at $3.00 per month for each cart. To rent a cart, please contact Rumpke at 1-800-828-8171.